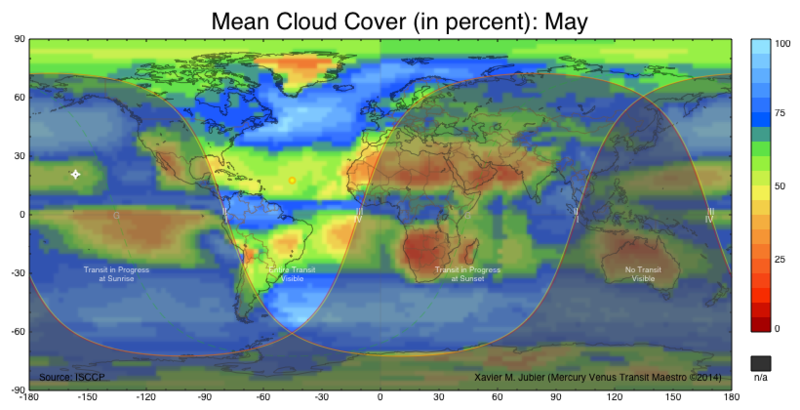 On the 2016 Transit of Mercury visibility map you can see that all the transit was visible from western Africa, the Canary Islands and northern Chile where the weather prospects are the best in May. 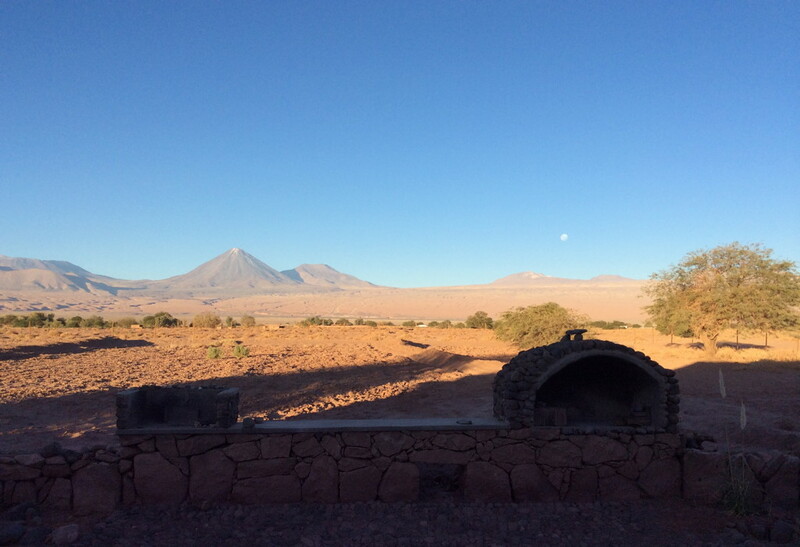 This is why I finally observed once again from the Atacama desert in northern Chile. In about seven and a half hours time the planet Mercury crossed the solar disk from east to west. 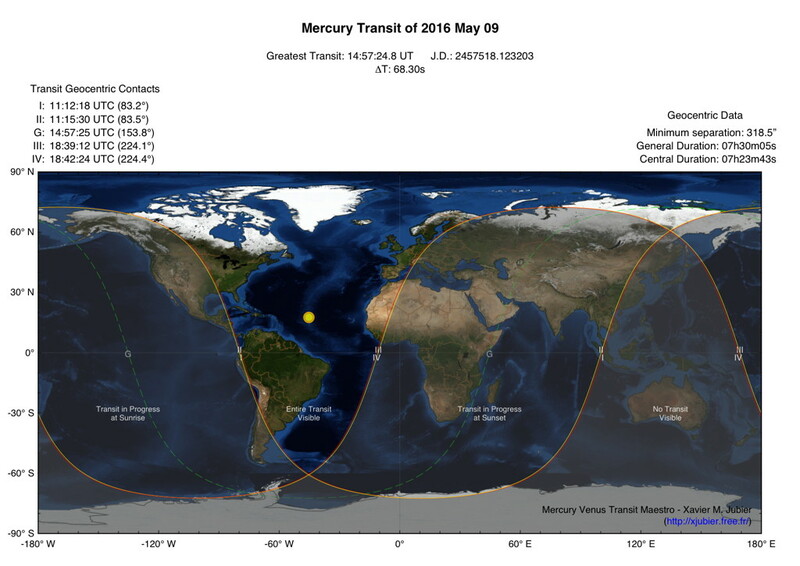 It was the first transit of Mercury since the previous one in November 2006 and was visible at least partially from Europe, Africa, the Americas and part of Asia. The next Mercury transit will occur in November 2019. There were a few outreach initiatives to which occasional observers, students, teachers, could participate. 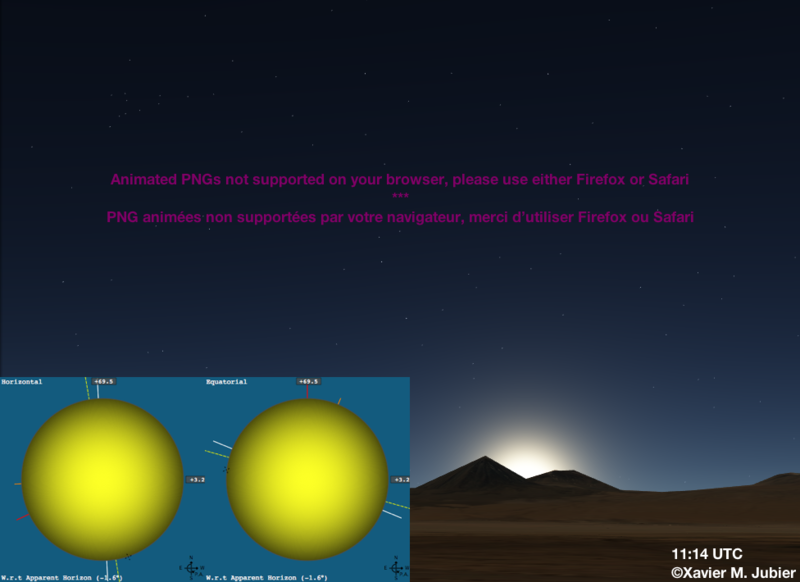 For example the Mercury transit project. Do not hesitate to join those. Find out if you were able to see Mercury during the May transit by using this Mercury transit calculator. 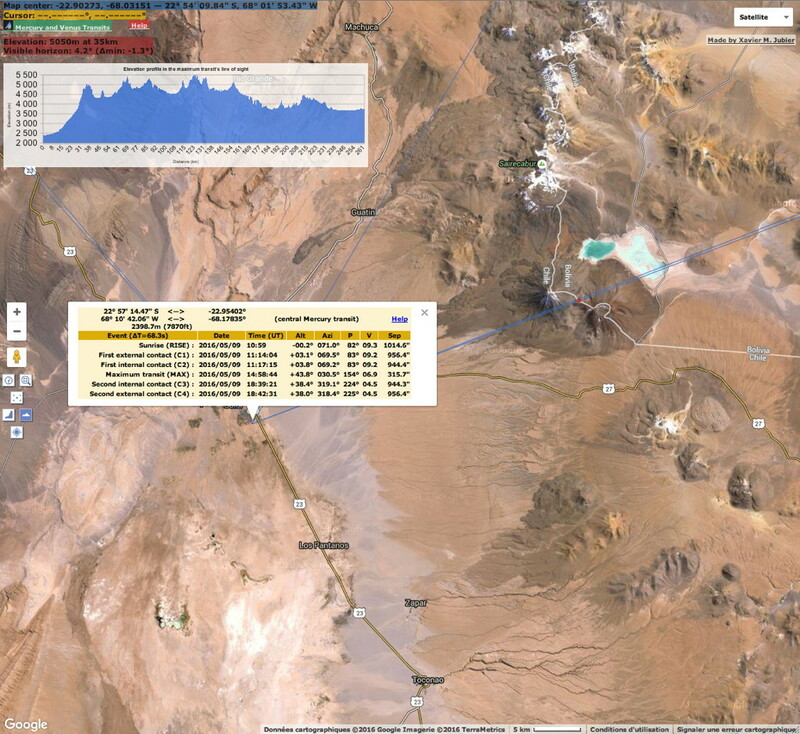 Page "Description" | Page "Google Map" | Page "Photos"
From my tentative location in the Atacama desert, the Mercury transit is likely to start a couple of minutes before the Sun will rise above the two volcanoes to the east. Nevertheless it will be a breathtaking view to see Mercury in front of the Sun emerging between two marvelous volcanoes, Cerro Licancábur and Juriques. Last page update on April 10, 2016.